Manuel joined the interface group in December 2013 as a student of the Master of Advanced Studies (MAS) program in Medical Physics at the ETH Zurich. 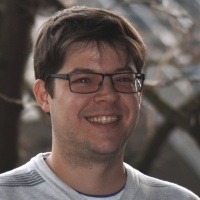 He completed his MAS studies at ETH Zurich in parallel to his PhD in Experimental Nuclear and Particle Physics at the University of Basel where he graduated in 2010 with a Master’s degree in Physics. As part of the MAS he did his Master Thesis as a joint project between The Interface Group and The Institute for Biomedical Engineering of the ETH Zurich. The goal of his research was Simulation of Blood Flow in a Realistic Numerical Phantom using Computational Fluid Dynamics. He successfully finished his project by August 2014 and will now focus on finishing his PhD by the beginning of 2015.